When does a debt crisis become an actual crisis? An industry insider shares the terms that hint at troubles to come. When governments teeter on the verge of bankruptcy, they call Jill Dauchy, who has spent the past two decades advising nations in distress. As a debt advisor with financial services firm Millstein and Co., Dauchy often has a front-row seat at the high-stakes negotiations between governments and lenders. She’s seen some negotiations restore trust between the parties, others that collapse in acrimony. How do you talk about a debt problem that might destabilize the life savings of millions of citizens? Dauchy gave us an insider’s guide to six negotiating terms — ranked by how much you should worry when you hear them. She also shares her method for defusing a debt crisis in an interview with TED’s European director Bruno Giussani, below. Who tried it: “Pretty much everyone,” Dauchy says. Who tried it: “In 2014, Ghana was experiencing quite a lot of stress,” Dauchy says. Relief came with the sale of a $1 billion Eurobond in October, 2015, which Ghana will use to pay off its immediate debts. Crisis averted, for now. Who tried it: Greece, again and again, in protracted negotiations with European creditors. And that was the easy part. Read on for the hard part. A slippery term that once encompassed all of the negotiating tactics above, plus the prospect of pressuring creditors into taking a loss, or a “haircut,” on their investment. “Restructuring was really kind of a catch-all term for debt renegotiation,” Dauchy says, but the term has taken on a new meaning since the emergence of the Greek debt crisis in 2009. The mere mention of the word “restructuring” had lenders imagining the worst-case scenario. The word became synonymous with losses, and public officials, eager to avoid a panic, steered clear of the word unless a haircut was indeed a real possibility. That impression was reinforced in 2011, when Greece’s private sector creditors agreed to a 50 percent loss on their loans. Who tried it: In 2012, Côte d’Ivoire negotiated a restructuring deal that pushed some investors to accept an 87% loss on their loans, according to Moody’s credit rating agency. The nation was temporarily frozen out of the loan market. In little more than a year, it was able to borrow again. “The markets don’t necessarily have very long memories,” Dauchy says. Even if a majority of creditors agree to a haircut, a lone holdout can bring negotiations to a halt. “A holdout will say, ‘No, I want to be paid on the original terms,’” Dauchy says. “In other words, ‘I want to be paid either more or faster than everyone else.’” Absent a deal, the creditor can deploy the national equivalent of a repo man. “For instance, if a country has a government-owned airline, a creditor could try to take its planes.” The same goes for oil shipments, bank transfers — anything, really, that comes within the grasp of the creditor nation. Who tried it: Amid tense negotiations in the summer of 2015, Ukraine convinced nearly all of its creditors to restructure its debt and slash the money it owed by roughly 20%. Russia refused, vowing to fight for full repayment on its loans. Ukraine, in turn, sweetened the deal for the remainder of the creditors, in an attempt to isolate Russian lenders. The brinkmanship continues to this day. Who tried it: In 2012, when Greece restructured debts owed to its bondholders, many market commentators called it a default, when, in fact, there was no technical default. And it happened again, on June 30, 2015, when Greece failed to pay a $1 billion debt to the IMF. In a strictly legal sense, Greece never defaulted, as it really had until the end of July to pay back the debt. “But did people feel like it did?” Dauchy asks. “Yes. Did everyone write about it? Absolutely.” Greece was forced to close banks and prevent currency from flowing out of the country. And while the panic subsided after Greece forged a new bailout deal in August 2015, questions remain whether the government can force a weary public through another round of budget cuts and tax hikes to pay off its creditors. If not, expect another round of jittery discussions when Greece’s next bill, totaling 4.8 billion Euros, comes due in December 2015. 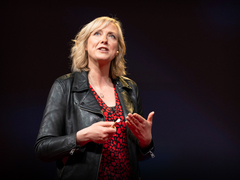 WATCH: Jill Dauchy talks about sovereign debt at TEDGlobal>London in September 2015, in an interview with TED’s European director Bruno Giussani.